You are listening to ReachMD, The Channel for Medical Professionals. In 1999, JHACO declared pain to be the fifth vital sign. After all, acute pain is reported as the presenting complaint in over 80% of all physician visits in the United States. Chronic pain affects more people than diabetes, heart disease, and cancer combined. Has there been any real improvement in identifying and treating pain since the JCAHO edicts. Welcome to the Clinician's Roundtable. I am Dr. Leslie Lundt and with me today is Dr. Joe Sam Robinson. Dr. Robinson is an acclaimed neurosurgeon practicing in Macon, Georgia and the President of the Georgia State Board of Physicians Workforce. Welcome to ReachMD, Dr. Robinson. Great to be with you today. Tell us about the JCAHO guidelines for pain for those of us who aren't familiar. Well, may be I can start by just discussing the nature of JCAHO for our listeners that might not be quite aware of what that organization is, but it's The Joint Commission on Accreditation of Healthcare Organizations and it's an extremely powerful quasi government entity that basically accredits all kinds of healthcare facilities in the country, and if they withdraw the accreditation, that institution would lose its ability to be paid for Medicare patients. So it is an extremely powerful organization and for number of years they have been focussing on trying to improve different aspects in American healthcare system. Starting in about 1992, there was lot of discussion about the idea that patients were not appropriately being treated for pain, but many times their symptoms were being neglected. So, after some period of preliminary discussion in 1999, JCAHO instituted a series of requirements for hospitals, home care agencies, outpatient clinics, extended care facilities, and behavioral healthcare facilities in relation to pain management and in general there were number of parts of this edict, most of them are rather vaguely stated and not really controversial. For instance, they recognized the right of patients to appropriate assessment and manage of pain. They require the assessment of pain in all patients. They require the recording of results of the assessment in a way that facilitates regular reassessment and followup. They require the relevant providers in pain assessment and management to be appropriately trained. They also have a patient's bill of rights, which require the patient to be informed that his pain will be relieved, that they give the patient information about pain and pain relief measures, and they emphasize the patient's right to a quick response to reports of pain and they assure the patient that there will be a concerned staff committed to pain, prevention, and management, and caring for them. Essentially, what transpired after that is that they became mandated with some kind of pain scaling re-instituted and that's pretty much the case all around the country now. So how do we measure pain? May be we could just start about saying what is pain. From a narrow neurophysiological point of view, it's impulses that are directed up from noxious receptors at different parts of the body up through the pain pathways into the brain where it reaches consciousness, so that pain itself is a very narrow kind of electrophysiological impulse, but what we commonly define it is actually the patient's perception of suffering and this turns out to be quite difficult to measure. If one can take a giant squid axon and put some electrodes in it and see the degree of stimulus it is going through that axon, you could actually be able to assess human suffering turns out to be quite difficult and there are different kinds of scaling devices or methodologies that are employed to assess this which require patient collaboration and cooperation. The patient generally says how much they hurt or don't hurt. Additionally, there are tests, where we can get some idea of the amount of neuronal stimulation that's occurring in the brain for instance PET scans and spectrographic MRIs and we can get some idea objectively of pain that the patient is experiencing. Now for using pain as the fifth vital sign as JCAHO mandates, shouldn't we all be using a uniform method of measurement? Well there are lots of difficulties with that. Number 1 is it is such a subjective difficult thing to measure. There are lots of cultural variations and so the numerous scales that are out there haven't really been validated in an appropriate way. In fact, the most popular one, which goes 1 through 10 scale, is an important study that came out of one of the VA Hospitals from California saying that it really didn't make too much difference whether it was employed or not, so you wouldn't want to in my opinion have a uniform scale nationwide unless you could prove that it actually was very effective. So, since that's not the case, many different I guess institutions are pursuing different ways to measure pain. What do you use in your practice? We use, just raw purposes, we use the standard, which I disclosed 1 through 10 scale and also something called Walid-Robinson scale, which puts in the degree of time the patient has experienced pain, so we come out with some numbers. Having said that these scales are still not satisfactory, and if one could come up with a really good pain scale where they would have universal applicability, this would be an extraordinary breakthrough. It would be huge. It would be I think worthy of a Nobel Prize, that's how important it would be. Well, certainly compared to the other vital signs, which are very standard like blood pressure and pulse, it does seem kind of fuzzy to me. Well, the difficulty is the subjectivity of the whole situation when you have a patient that may have many different things influencing his or her degree of suffering. It is very difficult to have a direct number. The patient may be more afraid than in pain and what the patient may really be <_____> is the presence of fear. Additionally, if you think about the linguistic difficulties in words if you are a little boy or little girl and you tripped and hurt your foot you don't tell your mother that's a grade 2 pain or grade 3 or your mother doesn’t say is it grade 4, so as a result the idea of quantitating pain in numerical fashion is something very difficult to do and a grade 7 for some people might be a grade 2 for another person. So there is not any kind of similarity on the scale for different people. 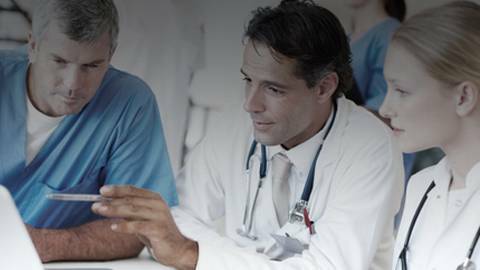 If you are just joining us, you are listening to the Clinician's Roundtable on ReachMD, The Channel for Medical Professionals. I am Dr. Leslie Lundt, your host, and with me today is Dr. Joe Sam Robinson. We are discussing pain as the fifth vital sign. So, Dr. Robinson, what's the downside of using these scales other than no validity, no inter-patient reliability? What else is the problem here? Well, we could just go through a number of things Leslie. Firstly, just to make this comment, beside the fact that there has never been any validation of these scales. They are extraordinarily expensive to undertake, so they cost an enormous amount of money. They take a huge amount of nursing time. They distract all kinds of attention the patient might better receive if they weren't there. Additionally, sometimes they want the healthcare provider's connection with this patient. So, many times it's better to get sort of a subjective idea about the degree of pain of the patient and then act appropriately as opposed to just making things numerical. Just to continue along those ideas, pain may well not be linear. So there are different shapes of curves that can be linear pain where the pain is increasing in a direct fashion. There is a difference between 5 and 6 is 10%, between 6 and 7 is 10%. It may well be the real difference only starts to occur between 8 and 9. So, there might be a different shape curve and that might defeat some of the simplicity of the system. Additionally, in many patients, the predisposition or presumption on this is the patients are lucid and is able to communicate and many patients in hospital setting have some degree of compromise in lucidity, so it won't work. Probably one of the biggest difficulties for this kind of pain scale is there is a difference between chronic and acute pain and there have been studies in this regard a person that suffers with substantial chronic pain often tends to overstate their pain and tends to be pretty much standard grades of 10 and ask for the maximum amount of pain medicine. So, if there is some kind of automatic response to putting 10 down that would encourage drug addiction and drug dependency. So just by relying on something so simple it does satisfy the bureaucratic predisposition on trying and correcting errors. On the other hand, the sophistication needed to treat patients is lost when this kind of scale is enforced. So, Dr. Robinson, any suggestions on how to improve this system where it is kind of mandated to use. Well, you know I think there are number of things that could be done. One would be firstly I think the idea of having different centers conduct appropriate research would be a good thing. The idea of looking into fear and hopelessness at the same time that you are trying to scale for pain. I think that would be a useful thing. So, it might well be the first thing is suffering more because they are fearful and being able to understand that might allow an appropriate response to diminish the patient's suffering. Additionally, I like the idea of lots of attention towards objectivity in human suffering, which we might be able to obtain by using spectrographic MRI study and PET scans. We actually see what part of the brain is being stimulated. We might be able to then correlate that with different kinds of pain scales, but probably the most important thing that needs to be done with pain scaling is that we need to be able to establish a connection between benefit and use of the scale. So, we need to be able to say we have employed this type of scale. We have employed this kind of therapy and this has been the result and the outcome analysis needs to be a very broad appropriate outcome analysis. It also puts in place financial issues because our healthcare system is under substantial assault. Physicians will need to try, and besides looking after patients, we need to be good custodians of the nation's healthcare <_____> and use it to best advantage. Absolutely and again it seems like the provider of yours are at both ends of the extreme that either we are not treating the patient, who are in pain or we are perhaps over-treating the patients who aren't in pain. Yes and there has been very little discussion about the number of people that had difficulties with substance abuse that might have been encouraged by who doctrinaire observation of government mandates. Absolutely, well thank you so much for sharing your thoughts with us today. Well, it has been great to share it with you Leslie. We have been speaking with Dr. Joe Sam Robinson of Macon, Georgia, neurosurgeon about using pain as the fifth vital sign. I am Dr. Leslie Lundt. You are listening to ReachMD, The Channel for Medical Professionals. 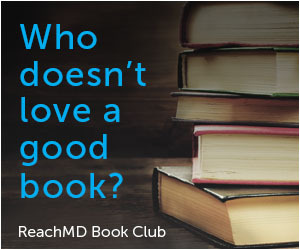 For a complete program guide and downloadable podcasts, visit our website at www.reachmd.com. If you have comments or questions about today's show, please give us a ring at (888 MD XM 157). Thank you for listening. You are listening to ReachMD XM 160, The Channel for Medical Professionals. This is Susan Dolan, join me this week when my guest will be Amparo Gonzalez in Chicago, Illinois discussing the most effective way to serve minority communities. This is Dr. Charles Turck, host of Focus on Pharmacy. This week we will be speaking with Diane Cousins from the United States Pharmacopeia Department of Healthcare Quality and Safety. We will be talking about tracking medication errors and how we as clinicians benefit from more active participation to prevent mistakes. I am Dr. Sarah Johnson, join me this week with Dr. Rita Cydulka from Case Western Reserve University and we will be discussing management of hypo and hyperglycemia. Download complete program information, live streaming, on-demand podcasts, and free CME at reachmd.com. ReachMD, online, on-demand, and on air at XM 160. You are listening to ReachMD XM 160, The Channel for Medical Professionals. In 1999 the Joint Commission on the Accreditation of Healthcare Organizations (JCAHO) declared pain the fifth vital sign. Chronic pain affects more people than diabetes, heart disease and cancer combined. Has there been any real improvement in identifying and treating pain since the JCAHO edict? Join us to hear from neurosurgeon Dr. Joe Sam Robinson, clinical professor at the Medical College of Georgia, explore the treatment of pain with host Dr. Leslie Lundt.